In early January 1985, Dr. Reed Pyeritz, of Johns Hopkins Hospital in Baltimore confirmed, through body measurements and imaging tests, my wife, Paula’s, very recent suspicion that she had Marfan syndrome. Paula was thirty-three years old and had been seeing doctors for a heart condition since she was nine years old. An elementary school nurse discovered Paula’s first symptom of Marfan syndrome, a heart murmur, during a routine student checkup. The nurse referred Paula to her family physician, who subsequently referred Paula to a cardiac specialist at the University of Pennsylvania Hospital in Philadelphia. Paula visited the cardiac clinic at Penn annually and they monitored her heart issues and treated her with medications. During the twenty-four years of these appointments, there was never a mention of Marfan syndrome despite Paula’s many Marfan characteristics, including long arms and fingers, narrow feet, weak ankles, and flexible joints. 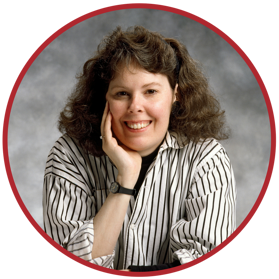 Unfortunately, Marfan syndrome was not a well-known condition during this period of Paula’s life. Naturally, Paula often wondered about the cause(s) of her heart problems, her appearance, and her physical limitations. Then, in the fall of 1984, she read an article in Newsweek magazine detailing Johns Hopkins’ genetic research into Marfan syndrome. The news story made a huge impression on Paula and she was able to say for the first time in her life, “That sounds just like me!” Paula brought the Newsweek article to her next cardiologist appointment and asked to have an echocardiogram. To everyone’s surprise, the echocardiogram disclosed a life threatening aortic aneurysm. Dr. Vincent Gott, at Johns Hopkins, performed the difficult surgery of repairing the ascending aorta and replacing Paula’s aortic valve. According to Dr. Gott, Paula was the 51st person to successfully undergo this relatively new procedure. The random act of reading an article in a readily available magazine gave Paula the awareness of her condition and pointed her to the resources necessary to address that illness. This miracle of awareness provided her an additional thirty years of life. In addition, as a result of Paula’s diagnosis, her three siblings were also diagnosed with Marfan syndrome and prescribed a preventative regimen of medication and lifestyle precautions. Awareness of Marfan syndrome and related disorders is life-saving. 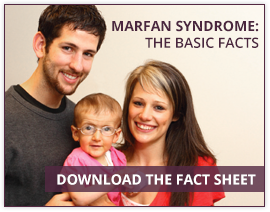 Get involved in Marfan Awareness Month now – you could save a life! Check out opportunities to create awareness online or contact Suśan Sobers, ssobers@marfan.org, for our volunteer toolkit. Joe Neil lives in New York City. 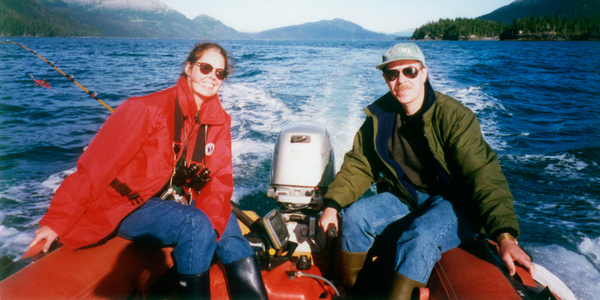 He and Paula ran a photo studio for over thirty years.